Is your company using hazardous solvents or messy oil-based rust preventatives? 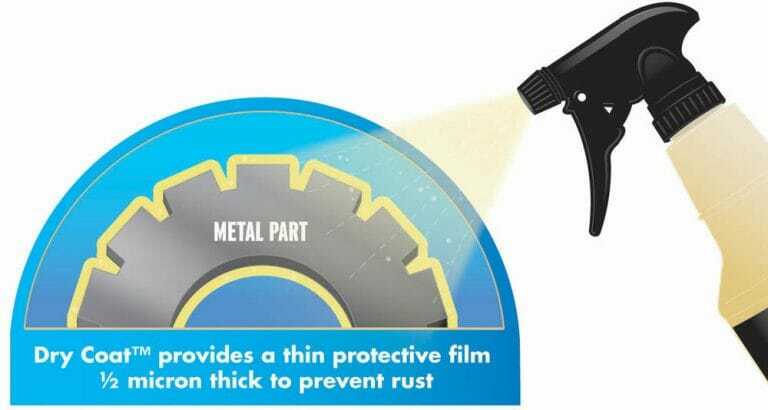 With Dry Coat, you can protect metal and metal parts from rust using a product that is water-based; non-toxic and non-hazardous; clean and easy to apply; and is not sticky once dry. Take your commercial rust prevention process and turn it on its ear with Dry Coat and its water-based formula. Say goodbye to traditional rust prevention methods such as messy oils/waxy coatings or solvent-based rust preventatives because Dry Coat is different–it is non-toxic, non-sticky, non-tacky, and mess-free! 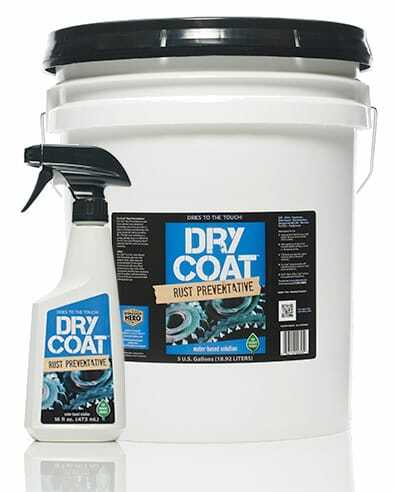 Dry Coat is designed for use on all ferrous metals and upon drying, it leaves a protective rust preventative coating that displaces water and oil from metal surfaces and is easy to remove if needed. In addition, it does not interfere with advanced processing such as stamping, grinding, cutting, or welding. Dry Coat will protect metal parts stored indoors for up to one year; protection can be extended when combined with other rust preventative products offered exclusively through ARMOR.